Right. So there's still no word on the still-living Doctors or past Companions having any role to play in the current Doctor Who series as part of the 50th Anniversary. 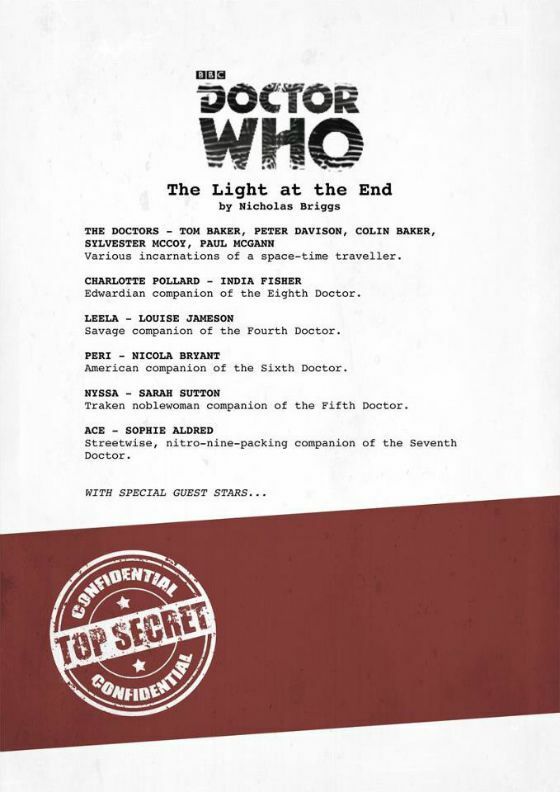 But... Big Finish did just confirm that all the living Classic Series Doctors and at least one each of their companions will be reprising their roles for an epic team-up story - The Light At The End. Th Fifth Doctor and Nyssa. The Sixth Doctor and Peri. The Seventh Doctor and Ace. The Eight Doctor and Charlotte. All in one story, together.